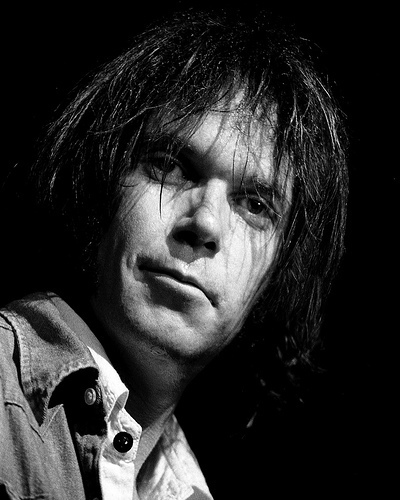 Neil Percival Young (born November 12, 1945), is a Canadian singer-songwriter. After embarking on a music career in the 1960s, he moved to Los Angeles, where he formed Buffalo Springfield with Stephen Stills, Richie Furay and others. Young had released two solo albums and three as a member of Buffalo Springfield by the time he joined Crosby, Stills & Nash in 1969. From his early solo albums and those with his backing band Crazy Horse, Young has recorded a steady stream of studio and live albums, sometimes warring with his recording company along the way. Young's guitar work, deeply personal lyrics and signature tenor singing voice transcend his long career. Young also plays piano and harmonica on many albums, which frequently combine folk, rock, country and other musical styles. His often distorted electric guitar playing, especially with Crazy Horse, earned him the nickname "Godfather of Grunge" and led to his 1995 album ''Mirror Ball'' with Pearl Jam. More recently Young has been backed by Promise of the Real. Young directed (or co-directed) films using the pseudonym ''Bernard Shakey'', including ''Journey Through the Past'' (1973), ''Rust Never Sleeps'' (1979), ''Human Highway'' (1982), ''Greendale'' (2003), and ''CSNY/Déjà Vu'' (2008). He also contributed to the soundtracks of the films ''Philadelphia'' (1993) and ''Dead Man'' (1995). Young has received several Grammy and Juno awards. The Rock and Roll Hall of Fame inducted him twice: as a solo artist in 1995 and in 1997 as a member of Buffalo Springfield. In 2000, ''Rolling Stone'' named Young the 34th greatest rock 'n roll artist.